Wednesday, March 27 – Friday, March 29 will be recognized in Hamilton County as Vietnam Veterans Appreciation Day to coincide with the national observance, Friday, March 29. Only recently has the nation appeared united in its recognition that members of the armed forces returning from the raging conflict in Southeast Asia [1965-1975] were greeted with unfriendly stares instead of cheering crowds and parade streamers. 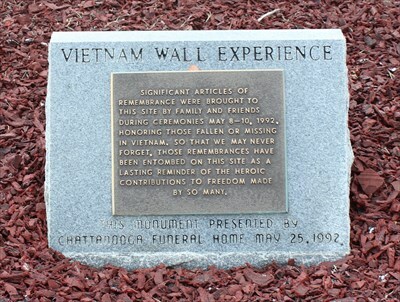 The local observance at 10 am on Wednesday, March 27 on the high hill at the Chattanooga National Cemetery will pay homage to the over 150 young men from the Chattanooga Valley who died in that conflict and will honor the more than 10,000 surviving men and women of the region who fought in Vietnam. For many citizens, the Vietnam War is a distant memory, one page in an abbreviated U. S. History text or the Ken Burns PBS series. For others, Vietnam was a defining moment in their lives, whether they served in Southeast Asia, as support forces in other regions of the world or simply lived through the events of the war via the first nightly war broadcasts in our nation’s history. For those citizens, the events of fifty years ago remain a crisp memory, only softened around the edges by the passage of time. 1969. The world seemed to be changing quickly. Apollo 11 landed on the moon and Neil Armstrong proclaimed “a giant leap for mankind.” Woodstock and the Stonewall Riots sent shiver through the nation as a new generation seemed to also take a giant “leap” beyond the seemingly uncomplicated life of the 1950s. Political news ping-ponged from the inauguration of Richard Nixon to the unsettling news of Chappaquiddick. All of the major domestic stories, however, played out against the continuing images of the Vietnam Conflict. 1969 in Vietnam saw US troops engaged in a 10-day attempt to cut off North Vietnamese infiltration from Laos in a high carnage battle at Ap Bia Mountain, later nicknamed Hamburger Hill by journalists. Ho Chi Minh died of a heart attack in September and, instead of lessening North Vietnamese resolve, fighting intensified. The U.S. responded with two strong and seemingly counteractions: the institution of a draft lottery and ‘Vietnamization’ program designed to gradually reduce the number of U. S. forces in South Vietnam. The draft seemed to gather up those young men not enrolled in college and to create a new group known as “draft dodgers” who fled to Canada to avoid combat. Vietnamization worked as troop numbers dropped from more that 549,000 in 1969 to less than 69,000 in 1972 and an anxious nation watched as reports began to focus on the Paris peace talks. Amidst all the political and social upheaval of 1969, soldiers, sailor, airmen and Marines from the Tennessee Valley continued the fight. Most would return home accompanied by memories that remain vivid fifty years later; most, when interviewed, will tell you that they served with honor and that, while the political management of the war was often clouded, they were fighting to stop the spread of communism, masking totalitarian corruption and lack of self-determination. Two generations later, the scars remain but the links of friendship between those who served also remain. 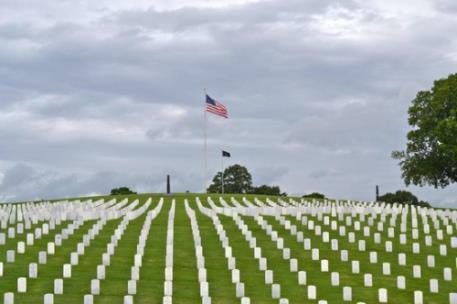 Set aside thirty minutes, beginning at 10 am, Wednesday, March 27 at the Chattanooga National Cemetery, for an opportunity to witness a ‘Welcome Home’ moment among brothers and sisters for whom 1969 seems only a few days ago. The event is sponsored by Vietnam Veterans of America, Chapter # 203, Hamilton County Government, the Chief John Ross Chapter, NSDAR and the Chattanooga National Cemetery. Linda Moss Mines is the official Chattanooga-Hamilton County Historian, Co-Chair of the 50th Anniversary of the Vietnam War Commemoration Committee and an active member of the Chief John Ross Chapter, NSDAR. 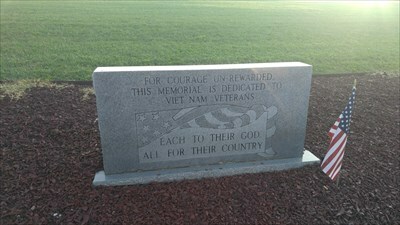 For more information about Vietnam commemorative events, she can be reached at localhistorycounts@gmail.com . To information regarding membership in VVA 203 or the VVA 203 Associates, contact Chapter President Charlie Hobbs at nam67mp@aol.com.